When you ask a winemaker what he's trying to achieve with his top-end wine, the answers are usually similar. Thus my ears prick up when somebody has a different goal. "Usually in a special bottle you have very powerful flavors, a lot of character," Sébastien Walasiak told me. "We don't want powerful. We want a long mouth, but not too powerful, not too much character." This for a $100 bottle. Tell me more. He did, and the story ended up reminding me less of winemaking than of some of the sakes I most like now, but that also took me years to appreciate. Champagne Collet is the oldest co-op in Champagne, founded in 1921 by growers upset over grapes from North Africa winding up in Champagne. There was a riot and an arson fire over the issue, showing that wine politics haven't changed in France in nearly a century. Today Collet is the 4th largest Champagne co-op with 80 growers, according to Walasiak, who is the "chef de caves," a position analogous to winemaker that sounds sexier in French. The company makes a huge amount of wine -- 8 million bottles! -- most of which ends up under other, cheaper Europe-only labels. How can you have never heard of Collet when it's so big? Collet only sells about 500,000 bottles under its own label, and until Brexit, sold almost all of them in Europe. France is still Collet's largest market, but with UK consumers cutting back on luxury items, Collet is coming to the U.S. via the importer Old Bridge Cellars, who are mostly known for their portfolio of high-end Australian wines. As terrific as those wines are -- they have stars like Leeuwin Estate, d'Arenberg and Brokenwood -- they're not an easy sell, so this seems like a convenient marriage. Like those fine Aussie wines, Collet is, at the moment, a hand sell. It's not a grower Champagne. It's not a new or small company. But it does benefit from making wine from only the best 10% of the grapes it controls, Walasiak says. 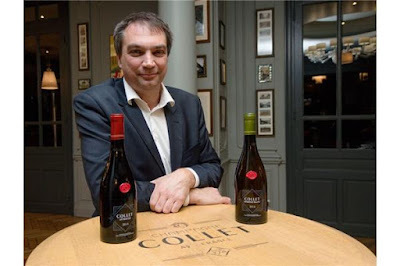 And he says that Collet's grape-quality controls distinguish its entry-level wine from the more famous Champagne brands that make significantly more. "The famous brands don't taste the juice," Walasiak told me. "In the laboratory, we are eight (people), and we taste all the juice. Some brands, they don't have enough staff to taste the juice." Because it's owned by the growers, Collet can afford to age its wine more than the average. Walasiak says the current release of the entry-level nonvintage Collet Brut is made up of 80% wine from the 2010 vintage and 20% reserve wine that is even older. "With other brands, when you taste the Brut, you taste two- or three-year old wines," Walasiak said. "With us, not so much. Nobody in New Zealand or Australia or the U.S. wants to age wine now. They want to buy it and take it home and drink it. But these wines take time and they take time in the winery, but the wineries don't want to do it because it's expensive." All of Collet's wines are subtle, but the current-release vintage, Collet Brut Champagne 2006 ($70), is the first level where you can really taste Walasiak's philosophy. Low dosage has given it gentle bubbles. It's mildly toasty and rounded and doesn't jump out of the glass at you, which is the point. 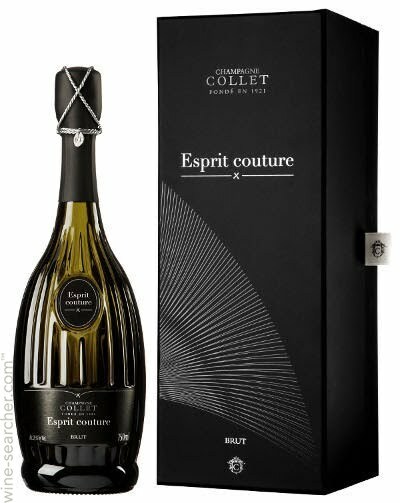 The tête de cuvée, Collet "Esprit Couture" NV ($100), is all about the length on the palate, which should be confounding for people who try to rate it by aroma. Walasiak wants ... well, I'll let him tell you. "We work a lot to find flavors for this special bottle," he says. "We use a very light Chardonnay, not too round, not too much character. We don't want too much aromas from it, just white flowers, not too much. And long mouth. We use Pinot Noir with a lot of fruit, not too much, and long mouth. We finish with (Pinot) Meunier from a special village. It has a lot of acidity and in 10 years it's like confiture (jam). Like rhubarb. "Why we do this -- we want to make a glass you can have as an appetizer and you can have one, two, three glasses," Walasiak says. The conversation about subtlety, about mouthfeel, about extra aging that's not listed on the bottle, it reminded me of visiting Japan on a sake tour with Master Sommeliers, when I learned a new way to appreciate sake (and took the photo that is still my computer's screensaver). With a subtle beverage, you can pay closer attention to the food, and perhaps only when the bottle is empty can you appreciate how much you enjoyed it. An interesting read and surely one that will make me pay more attention to Collet's bubblies in the future! However, there was this line "Low dosage has given it gentle bubbles" that struck me a bit odd. How does low dosage give gentle bubbles? Mainly I've noticed vice versa: wines with higher residual seem to have gentler bubbles as opposed to those on the drier end, although just a little. I suppose by "dosage" you mean liqueur de tirage? By controlling the amount of sugar pre-fermentation, you can control the amount of CO2 formed in the secondary sermentation. However, controlling the amount of sugar post-fermentation shouldn't have much impact on the amount of CO2, and not the way your article suggested. And of course younger wines have more aggressive bubbles than wines that have been cellared for a longer time, but that's a different story.